There is growing acceptance of the fact that workspaces are the primary incubators of ideas and nerve centres of business execution. Managements are recognising that their office spaces impact the productivity of their employees, and reflect on their brand as well as the bottom-line. Companies are therefore going back to the drawing board to overhaul the philosophy behind the design of their office space. Besides as realty prices sky-rocket, concerns about occupant safety and security are being heightened and environmental sustainability is becoming the new global norm. 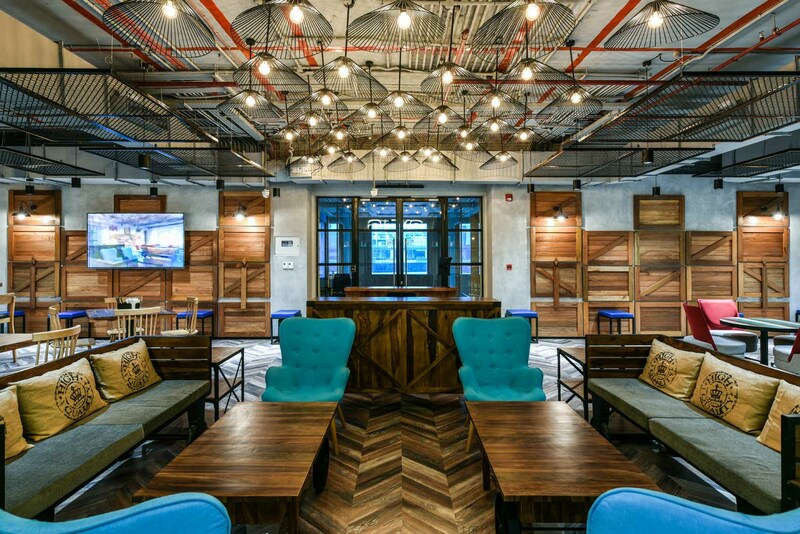 Such thoughts are motivating organisations to redesign their existing workspaces and often take up new spaces across the country. 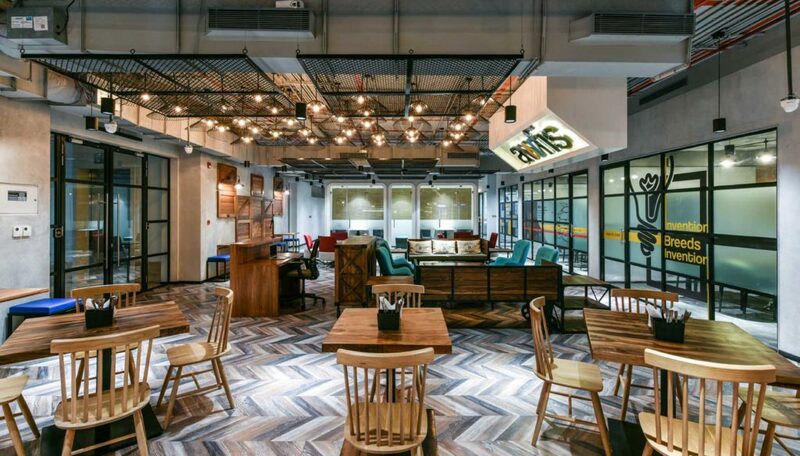 The companies operating in the IT/ ITeS, E-commerce, BFSI, Fintech and business consulting sectors particularly are taking the lead in absorbing new office space. Real estate consultants JLL India estimate that office space occupancy will expand to 100 million sft by 2020 in the cities of Mumbai, Delhi-NCR, Bengaluru, Chennai, Hyderabad, Pune, Ahmedabad, and Kolkata (Read: Riding on a Growth Momentum). This trend is presenting burgeoning business opportunities for the building products, furniture, and interior sectors. And comments emanating from the people heading product and marketing portfolios of major players reveal that the office space is critical to their goals. Shankho Chowdhury, executive business head for decoratives at plywood and laminates major Century Plyboards (India) Ltd says, “With an estimated contribution of 20% to the total demand from the real estate market, the commercial office is an important demand centre for our laminates and decorative veneer products.” He avers that Century will continue to focus on providing relevant products and designs and increasing its footprint in the promising segment to achieve business growth. HIL Ltd, formerly known as Hyderabad Industries Ltd, recognizes the institutional segment as a very important focus area for Birla Aerocon, its green buildings solutions brand. The company has set up a dedicated technical solutions team to promote usage of green building solutions. “This team also provides training on systems and processes to use the products in a best-suited manner. The team facilitates our valued clients with processes and project audits,” elaborates the company’s managing director and CEO Dhirup Roy Choudhary. 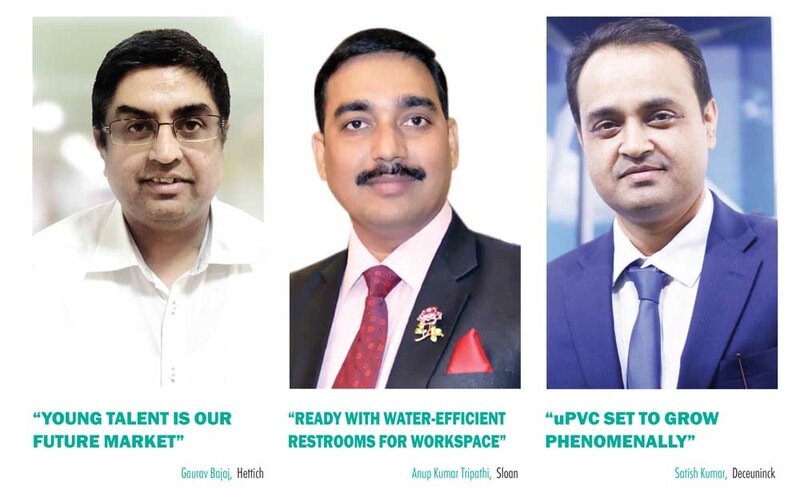 Anup Kumar Tripathi, country head, Sloan India Pvt Ltd, subsidiary of American commercial restroom solutions expert Sloan Valve Company, acknowledges that commercial space has assumed a major role in the company’s growth strategy. The company, he asserts, is ready to furnish the growing number of offices across the country that would need to be equipped with premium, water-efficient and hygiene-promoting restrooms. Office buildings are being designed by considering not only thermal loss through windows but also human comfort and wellbeing, observes Satish Kumar, country manager of Tamil Nadu-based Deceuninck India, subsidiary of the Belgium-based uPVC door and window systems specialist. The company, he says, is poised to grow its business significantly in this space. 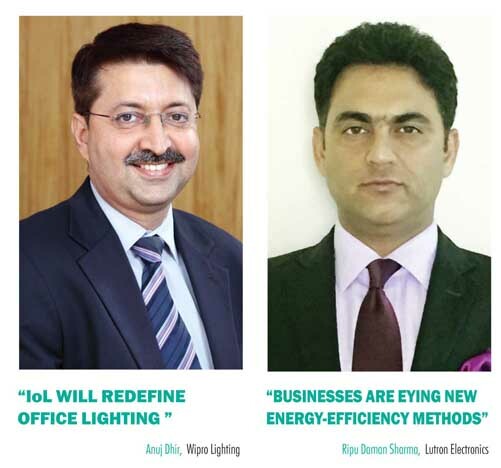 Homegrown office lighting tech specialist Wipro Lighting, a part of Wipro Consumer Care and Lighting, foresees about 20% growth in office occupancy rates in leading metros, says its VP & business head Anuj Dhir. His estimates, he says, are based on interactions with the country’s leading project management consultants. “We have strong relationship equities with leading IT/ITeS, BFSI, corporate, and the specifier fraternity in the country,” he asserts. No wonder he is confident of achieving a dominant position in the office segment of the lighting market. 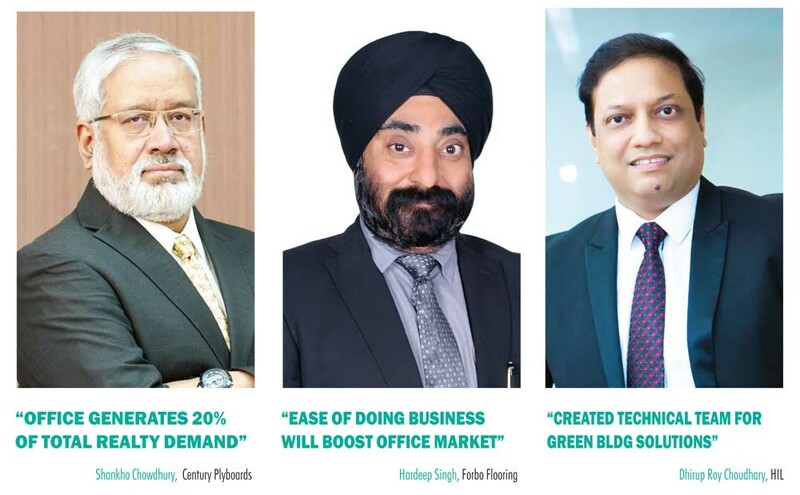 Dhir’s optimism also stems from Wipro’s past ability to identify the niche in the market — commercial green buildings and “successfully illuminating approximately 60% of the green buildings in the country” with green lighting technology solutions. In present, he is confident about Wipro Lighting’s latest platform ‘Internet of Lighting’ (IoL) that marries lighting with technology. “IoL is the convergence of lighting and data transmission technology based on Power over Ethernet (PoE) technology and is crafted for modern workspaces and smart buildings. We are aiming to use IoL to provide smart, connected and human-centric lighting solutions to our customers. We are launching and promoting IoL in all tier-I-cities of India by end of April.” What’s more, the company has brought the cutting-edge Li-Fi (Light Fidelity) technology to the country under IoL. The technology uses LED light bulbs to transmit the Internet data faster, more securely and safely than Wi-Fi.